The amazing victory of 2006 and the events leading up to it. Visit our interactive timeline and explore the journey of how Chedham’s Yard won the BBC Restoration Village competition in 2006 following the Parish Council's purchase of the yard from Bill Chedham in 2002. 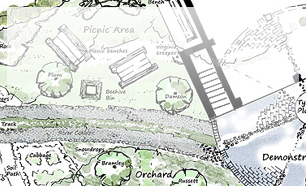 The proposed plan for the garden of Chedham’s Yard has been completed by Ringrose & England. Find out more with our interactive map. 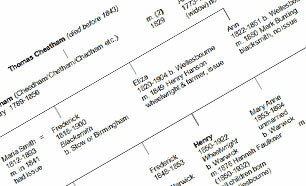 Learn More about the Chedham Family tree from 'Thomas' to 'Bill'. 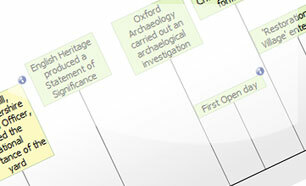 2 reports have been uploaded with permission from Archaeology Warwickshire which describe the last 2 Archaeology projects and the finds.